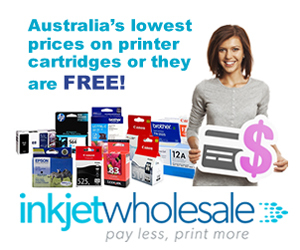 Those of you who read Office Hacks from Inkjet Wholesale regularly must’ve, by now, realised that we’ve been focusing on the social media angle of business marketing recently. This is a result of the realisation that online marketing needs to be a major component of modern day marketing efforts. Any business that doesn’t leverage the strengths of the World Wide Web is missing a very beneficial and potent trick. When it comes to businesses, we feel that their online marketing efforts can be divided into three different categories, of which making the business profile is one. Many of you must’ve read our post on how to make an Instagram business profile that can have the impact you desire. 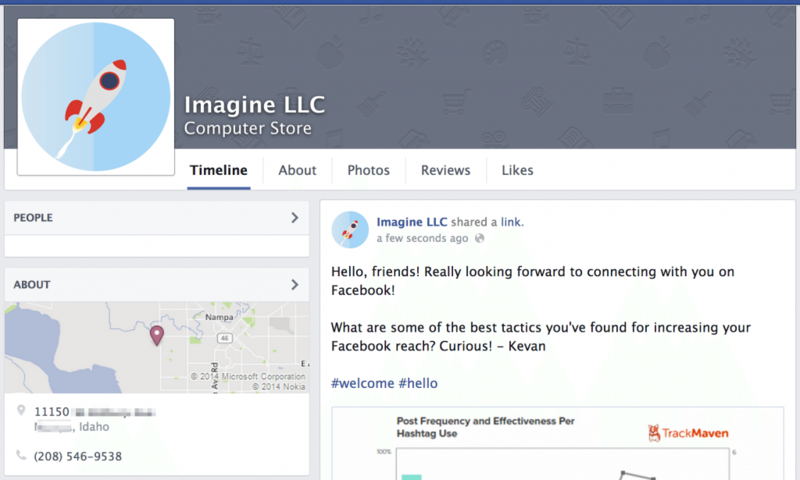 Well, this post on how to make a Facebook business page will be along those lines, especially if you utilise the information in the previous post on devising an effective Facebook strategy. If you’ve never created a Facebook page, then this may come as a surprise to you. You need to have a personal account to create a Facebook business page. It is also possible that you’re well aware of this and, in fact, it has kept you from making your Facebook business account. You see, many people worry about the cross traffic between the personal and professional accounts because of the fact that they’re connected. The really uninformed even worry about the fact that they’ll have to give their personal login details to the person they assign for managing the Facebook business page. It is also worth pointing out that many business owners choose to create a dummy account simply so they can create their business pages. However, these concerns and alternative methods are pointless because if the Facebook business page is managed properly, then there will neither be any cross traffic nor any need to share personal login details. Name – The name of the page. About the page – A description of what your page is about. The description can be 155 character long and needs to be carefully written because it will appear at the top of your Facebook page. URL – The web address of your website. It is recommended to have a website before you create your Facebook page. Facebook URL – This is a custom URL option that is provided to pages that have built a following or at least 25 people. Profile Picture – This can also be called the display picture. We’ll talk about it in the next point. While textual posts are possible in Facebook, this social platform is incredibly visual. What this means is that images and videos get more engagement on Facebook business pages than written text or even URLs. In fact, Research has shown that posts with images perform about 2.3 times better than images without. This is precisely why we’re treating the image aspect of your Facebook business page as a separate point. You can’t just tack on any image in the profile and cover image space of your Facebook page. You need to carefully pick the images with respect to not only their composition and content but also size. Typically, businesses tend to use their logos either in the profile image or the cover image. Some businesses also use pictures of their products in these places. What is common between logo and products? It is the fact that they’re both instantly recognisable. These images will be right at the top of your page, whether it is the mobile platform or the desktop platform. This is why they need to be specific and unique as opposed to generic and mundane. With respect to the size, your profile picture should at least span 180 x 180 pixels while your cover image should measure a minimum of 851 x 315 pixels. It is also important to note that on the mobile platform, Facebook makes the same cover images 563 x 315 pixels. Whether you make your own profile and cover images or hire someone professional to do it, ensure that it does not lack for quality. We recommend the DIY route till your page grows. Once it has grown a professional can help improve its engagement greatly. One option will be to create synergy between your profile and cover images. Just clicking on the relevant empty space will allow you to upload your images. These were the initial steps of creating an effective Facebook business page. 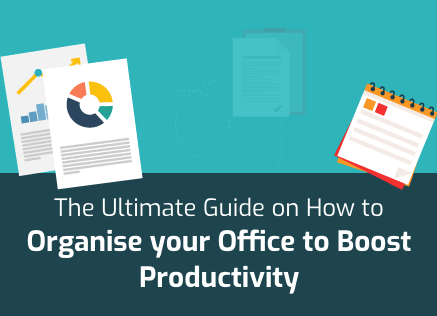 You need to put in even more information before your task is complete. Firstly, you should go to “Page info” which can be found in settings on the top navigation bar. Here, you’ll find empty fields for “start info”, “address”, “long description and mission”, “phone number and email address” that should be filled in so that newer followers can avail your products or services. Below the cover image of your business page, you’ll see a row of tabs. Those tabs are essentially Facebook apps that you can add to your page. To do this, you can visit the Facebook apps centre (it is presented as games centre but it contains many business apps also) and find the app that you want to use. On the app’s page, you’ll be able to “Add app to page” and subsequently choose which tabs show under your cover image by going to “Manage Tabs” in the “More” section. If any of you is still wondering if he’ll have to share his personal login details with the person assigned to handle the Facebook business page, this section should lay your doubts to rest. 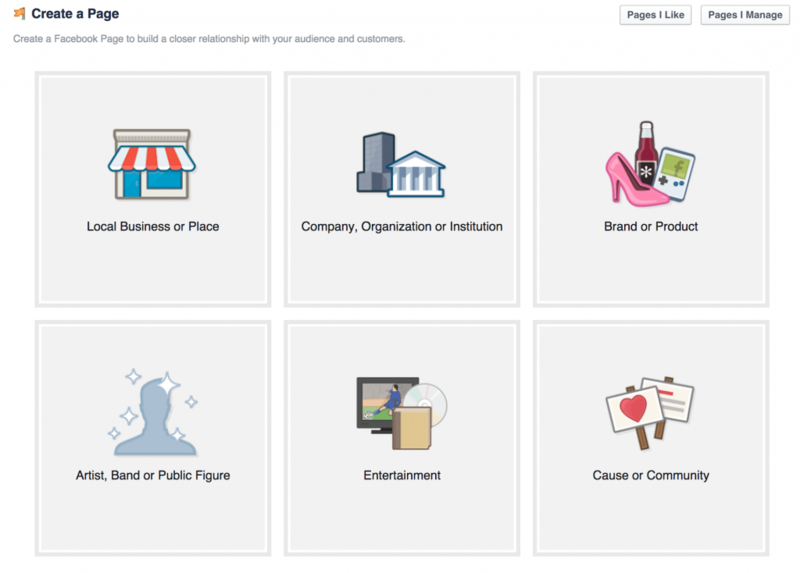 Facebook provides page owners the option to give other individuals rights to manage their pages. These rights vary on the basis of what they allow the other individuals to do. However, what doing this means that these individuals will be able to access and manage your Facebook business page by logging into Facebook with their personal accounts. Thus, the need to share personal login details is removed from the picture. Here are the “page roles” you can assign to people. Admin: When you create a Facebook business page, you automatically become its Admin. This means you have complete access. You can give complete access to another individual also. 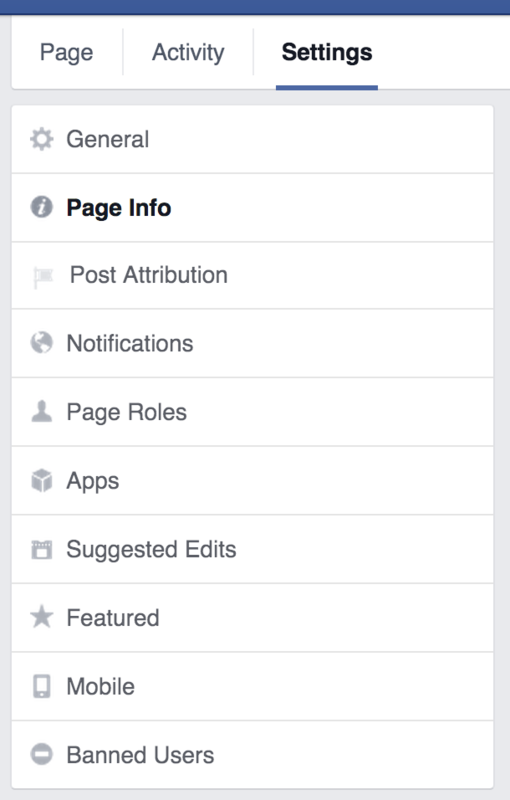 Editor: An Editor can do everything on a Facebook business page except assign page roles to others. You should assign someone this role if you want him to edit the page, send messages, create ads, and view Facebook insights. Moderator: The Moderator can do everything that the Editor can do with the exception of editing the page, adding apps, and creating or deleting posts. Advertiser: As the name suggests, the advertiser is responsible for the advertising aspect of the Facebook page. 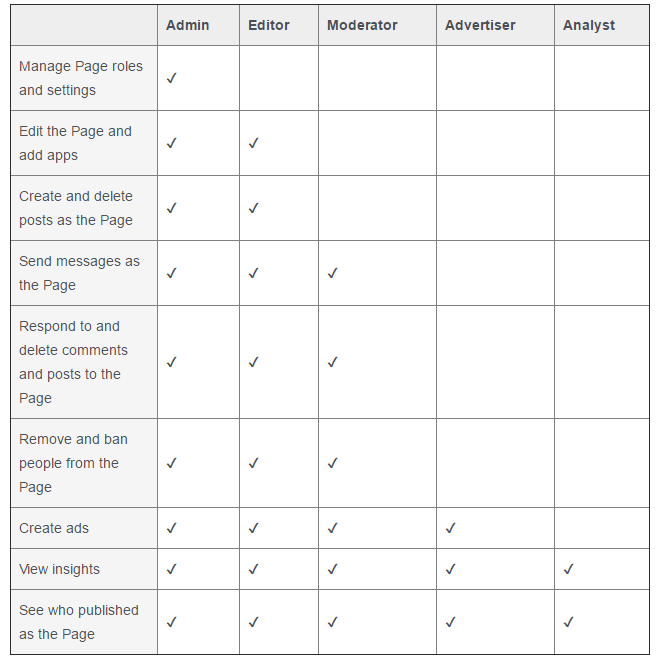 He can create ads, view insights, and monitor the posts being published on the page. Analyst: The analyst’s access is the most limited. He can only access Facebook insights for a business page. With step 4, you’ve essentially laid the foundation for your Facebook business page. What is left now is to give it soul. The soul of any Facebook business page is its followers. Without followers, the Facebook business page is pointless. So, how do you get followers? First and foremost, you need to present some content. You need to put up a few posts so that your Facebook page doesn’t look drab and empty because tumbleweeds never made any friends. These early posts should be as diverse as you can make them. You should try to post one of each i.e. link, image (meme, if you prefer), video, and status update. Once done, you can go about inviting people from your friend’s list. Regardless of how many people you invite from your friend’s list, it should never be the primary avenue for you to get your followers. It’s a good Launchpad, no doubt, but it cannot be relied upon in the long term. In the long term, your two best methods of growing followers will be through external integration and Facebook ads. Simply because Facebook ads can cost you a pretty penny, external integration should be your priority. The primary component of external integration will be your website. You can put up follow and share buttons at various locations on your website or blog to get people to follow you on Facebook. Basically, when people see your website, use your services, and read your blog and like them, they can choose to follow you on Facebook. Similar kind of integration can be done with other social media platforms and even your emails. Facebook ads, as you know, are paid. If you don’t have a solid Facebook strategy, it would be pointless to use Facebook ads. In other words, you should only use Facebook ads when you’re concertedly pushing for its growth as a part of your overall marketing strategy.